Skylon serves up modern British cuisine from executive chef Helena Puolakka, who brings a seasonal contemporary approach to the kitchen. 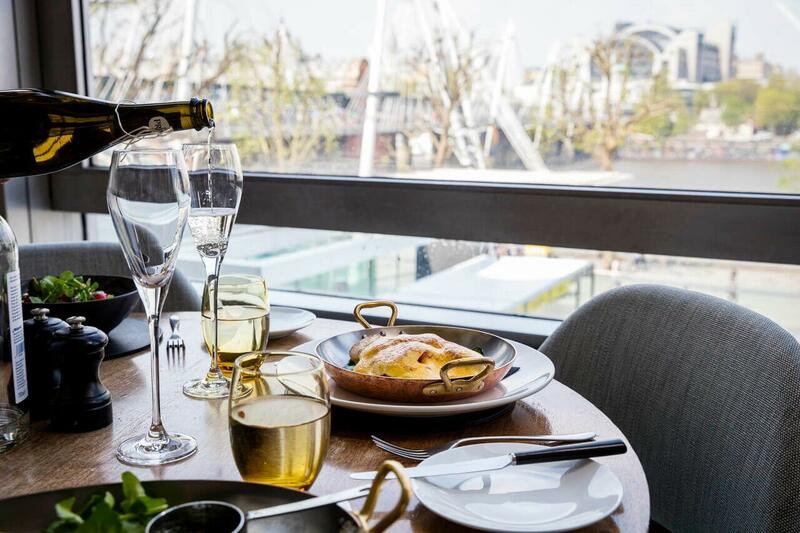 The restaurant offers stunning views over the Thames from its position on the third floor of the Royal Festival Hall. Skylon takes its name from the iconic structure that was built on the South Bank for the 1951 Festival of Britain. Skylon’s design echoes the style of the Royal Festival Hall during the same period with some contemporary touches, such as the uniquely designed chandeliers and surfaces of bronze, walnut and slate. There is a private entrance on the corner of Southbank Centre opposite Hungerford Bridge which is open from 10am – 1am daily. In spite of its popularity with the public, the cost of dismantling and re-erecting the Skylon in 1951 was deemed too much for the government, Speculation as to the Skylon's fate included theories that it was dumped into the Thames, buried under Jubilee Gardens, made into souvenirs or sold as scrap.